Travelling to work by car, train or bus may be practical, but it’s boring. Riding a dinosaur to the office would be neither of these things, that’s what would make it so great. Here we consider the pros and cons of four different types of dinosaur transportation. 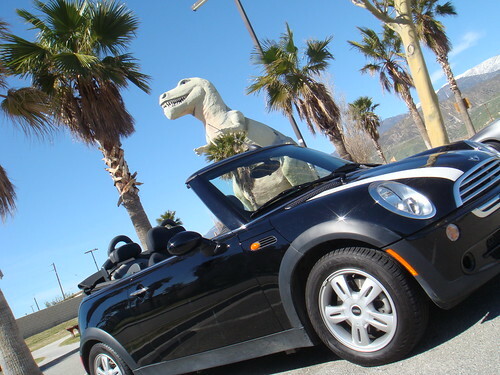 The perfect dinosaur for the driver who suffers from road rage! Is there a better way to unleash revenge on the idiot that’s just cut you up than by eating them? Probably not. They’re also famed for having terrible breath which should help keep the road in front of you nice and clear. Riding a T-Rex to work does present a few problems though. If you’re used to driving a small car it might be hard to adapt to a creature that’s longer than a bus, but at least you’ll have plenty of room in the back for the kids. 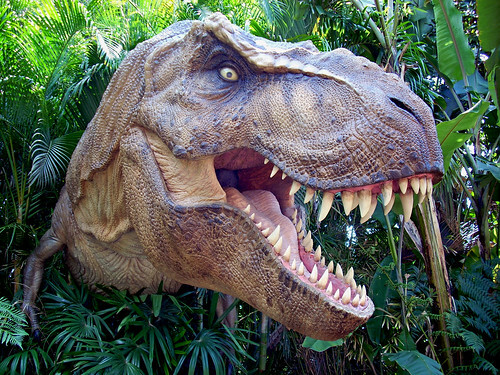 Also the largest T-Rex skeleton ever found was sold for a whopping 7.6 million dollars, so can you imagine what you’d have to pay for a living one? The benefits of travelling to work on a Pterodactyl are fairly obvious. You’ll be able to fly to work in a straight line from your house which should significantly cut the journey time. Plus you’re unlikely to run into any traffic in the sky, so say goodbye to unexpected delays. If you do opt for a Pterodactyl though you’re going to have to find either a cave or a massive tree for it to live in, which could be an issue. They also like to live by the sea so you might have to move to keep it happy. 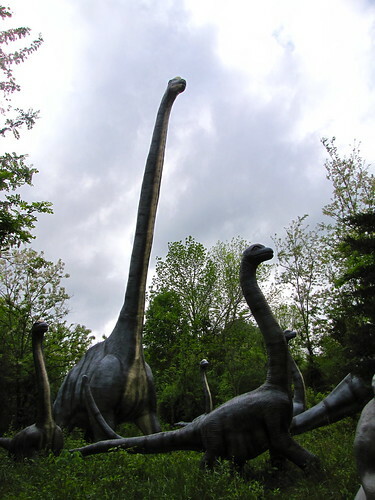 If you love to cruise in style then you need to get a Brachiosaurus, the largest dinosaur known to man. At 16 metres tall it offers the rider unrivalled visibility of the road ahead and because they weigh in at 80 tonnes you’re going to come through most crashes unscathed. The bad news is they guzzle a lot of fuel. Your Brachiosaur is probably going to have to eat a few hundred pounds of leaves and greens every single day to maintain his or her weight. They’re also pretty slow moving and where you’d be able to park it is anyone’s guess. If you often find yourself running late for work then this is the perfect dinosaur for you, as it’s thought a Dromiceiomimus could reach speeds of 60 km per hour. They also had very good eyesight and a large brain, both of which would be pretty useful on the roads. However, there is one downside to commuting on a Dromiceiomimus as there’s a strong possibility they were nocturnal. So if you’re going to invest be prepared to work the night shift. So there we have four dinosaurs that would certainly make the Monday morning commute a little more interesting. Now all we’ve got to is resurrect them. Who’s got John Hammond’s phone number?